Today was my long ride/20min run, and it was a beautiful day for it. I did a new and I love riding places I’ve never been. It seems to make the time go by quicker. How was the ride, you ask? Nice for the first five miles. At mile 40, I think I did have some tears in my eyes. How do people who compete in Ironman races actually ride more than 100 miles? The route I did (I attached the link to the map below) had some pretty nasty hills, and was suggested by my coach because, apparently, I need more hill work. I hate hills. You could not pay me ten dollars to ride up and down Turkey Hill Road more than once in a row…..Maybe if it was a thousand dollars, taxfree, I might. 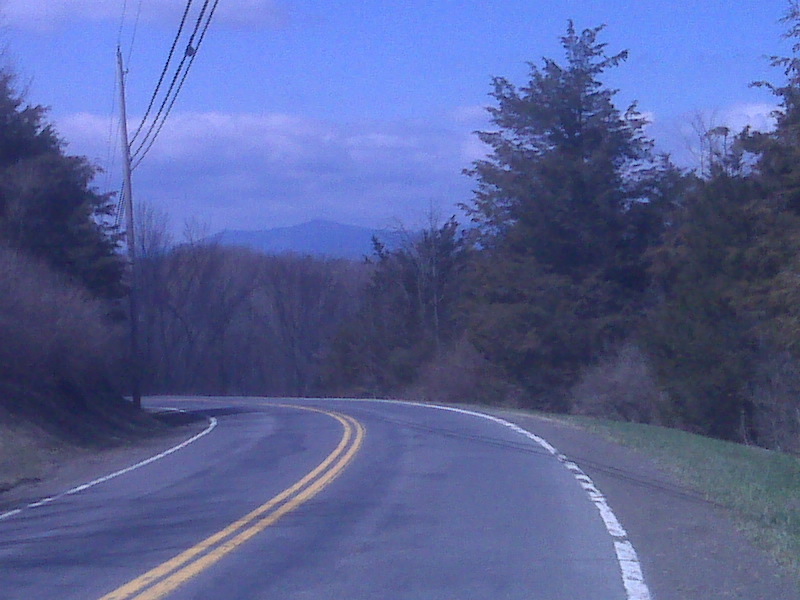 I never realized that Dutchess/Columbia counties actually had hills. But, boy, do they have hills. And. for some odd reason, at the bottom of each hill when you would be speeding up to get as much speed to help in getting up the hill, there were workers at the bottoms directing traffic. So, I was never able to speed up on the decline before the incline. I had to STOP. Ugh. Slightly annoying. It was perfect riding weather–a little chilly at times when the sun disappeared behind the clouds, but it was nice. And my lungs and thighs ceased to be on fire for small amounts of time on the ride. 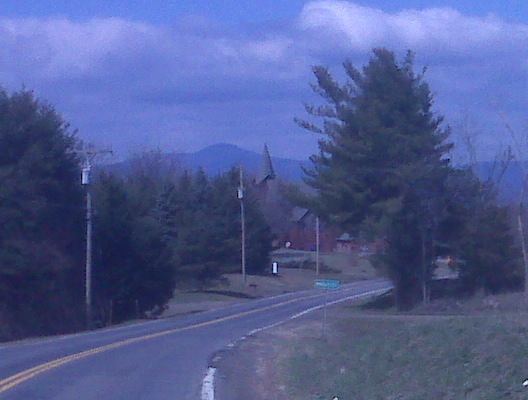 looking at the catskills- view from the church must be amazing. At mile 50, I started getting hungry. 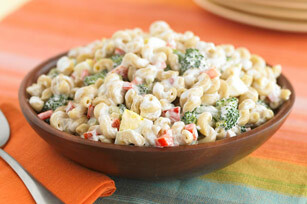 So hungry that I began to fantasize about eating macaroni salad–you know the kind–with all the mayo and black olives and pieces of peppers. I have no idea why that food was what I was craving, because I hate mayonnaise, and do not eat pasta. But after 50 miles of hills and rolling hills and gradual inclines, that is what I wanted. And that’s all I could think about. I’ve talked about this before, and I am going to say it again–the importance of supplemental energy when you are on long rides/long runs that last more than 60 minutes. Now, after trying my one shot of Gu last year and detesting it, I swore off any gu- containing products until I had a Shot Blok which I actually loved the night before the half marathon, especially the lemon flavored. Gu is gross, but a life safer for sure. After Turkey hill and other hills, after not eating anything before the ride except for consuming coffee, my stomach was starting to talk to me. Not talk, beg me for food. I stopped and searched my backpack for something…anything….because I had over 10miles left to go, only to find a Gu Energy shot–a Gu tirberry flavored shot- it was one of those free-be’s from another race I’ve done in the past. I was hesitant to eat it, because the last one made me feel sick to my stomach. But I needed that extra boost.And since I was no where close to any place that would have macaroni salad, the shot would have to do. I think the drivers who passed me on Country route 6 headed to Nevis might have thought I was crazy, leaning over my handle bars and trying to eat the gu whist making faces because it was so odd tasting. As much as I hate it, it was a life saver for me because I needed something to eat as I was starting to tear up from so much hunger, and exhaustion (I have no idea how people complete full ironmans. Honestly, Moosman scares me. It’s so close and I don’t feel as prepared as I should. I’ve talked about this before, and I am going to say it again–the importance of supplemental energy when you are on long rides/long runs that last more than 60 minutes. Now, after trying my one shot of Gu last year and detesting it, I swore off any gu- containing products until I had a Shot Blok which I actually loved the night before the half marathon, which I actually liked and then learned that they came be somewhat appetising, quick energy (preferable with caffeine).If you are going for a workout longer than 1 hr you should always bring something to eat or drink or chew that has some supplemental energy in it, esp sugars and sodium, because even if it is cold, you sweat, and can lose lots of sodium through that sweat. I wrote a post about this subject, so will not be redundant. But since you lose so much energy while working out, you need something, especially if it is longer than 60 miles. The below song was my motivating song to get me up and OOB to do this ride at 0900 when I usually am sleeping (man, working night shifts with being on your feet for 13hrs and training don’t really go well together. My feet do not really like 50 mile bike rides or any of that, or any of my training at the moment….) If you are a member of my family, you know I have every soundtrack known to man. And now, off for my 11miler. Yes, it’s 0300. But no one will be on the roads. How do you fuel up during rides/runs? Previous The days after a race Next Me? On a Mountain Bike?